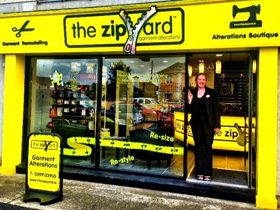 The Zip Yard Carlow provides a first class service to the people of Carlow. 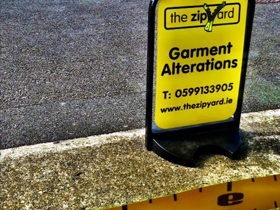 We operate from a modern, fresh premises in Carlow Town. No appointment is necessary & you can walk into the shop and have your garments immediately pinned in our private fitting rooms. 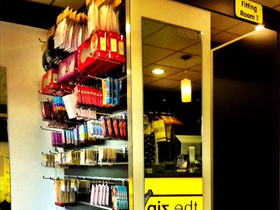 It’s a welcome take on the traditional alterations shop of the past. The Dressmakers & Tailors are highly skilled experts who can turn their hand to any type of repair, restyling or remodeling of garments. We at Carlow will take on any job possible. If it can fit under the machine, we will give it a go!!! !, e.g. In the past we have had Jockey Vest repairs and replacement of Zips, Golf Bag repairs and replacement of Zips, Hoist Repairs for local Nursing Home. We even help with NCT preparation!!! We repaired a ripped seat in a gentleman’s car before he got his car tested. There is a quick turnaround of 48 hours and a 1 hour express service also available. 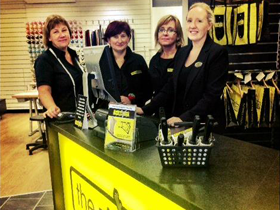 Our express service is ideal for customers who are only in Carlow for a day visit. We can alter your garments while you shop in town or alternatively, avail of our comfortable seating area where you can relax and watch TV while you wait.